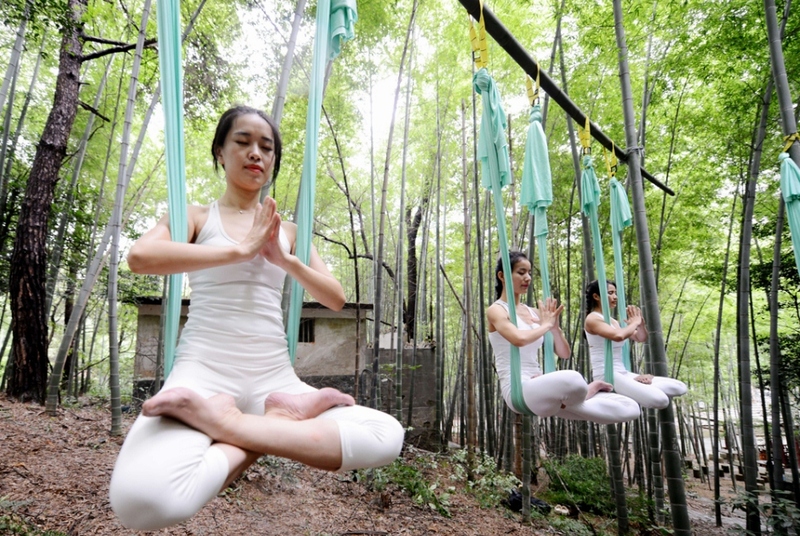 As we all know Yoga is a spiritual, mental and physical discipline which came to us from India. 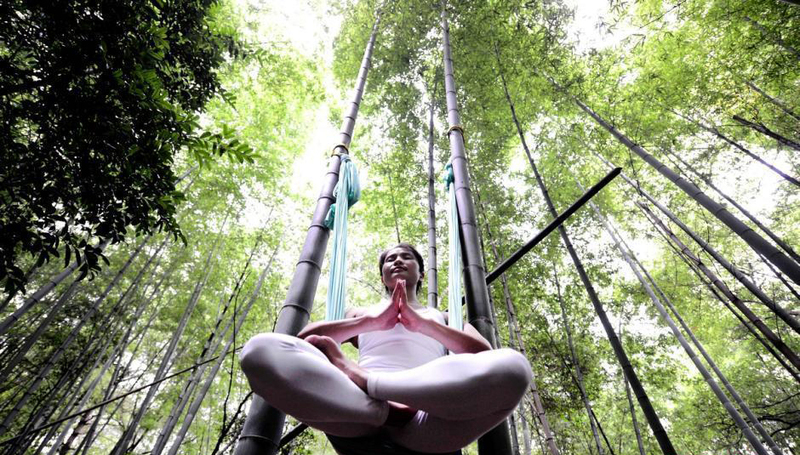 Yoga makes people feel calmer and more focused, and everyone can find inner peace for himself. Besides, a strong body makes the mind strong. The unity of your body and soul is the key that helps people reach different goals, that’s why this unique practice is so popular all over the world. 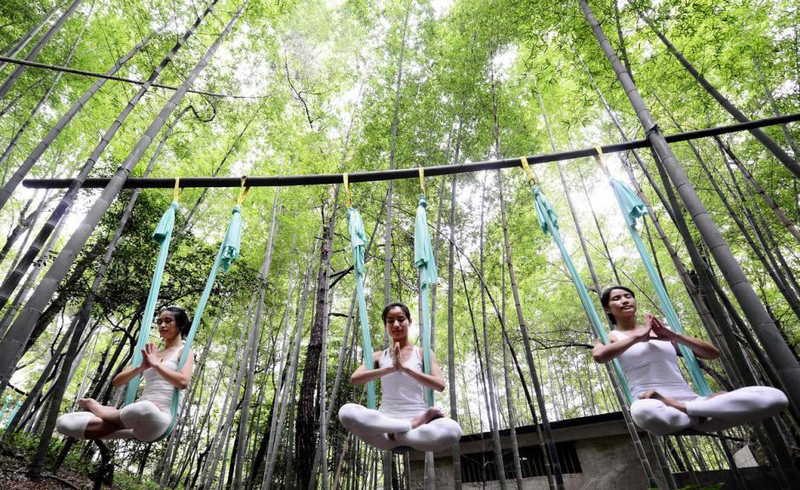 At the same time you can get a perfect workout + an incredible meditation. It helps to overcome your biggest fears, frustrations and challenges of the life. 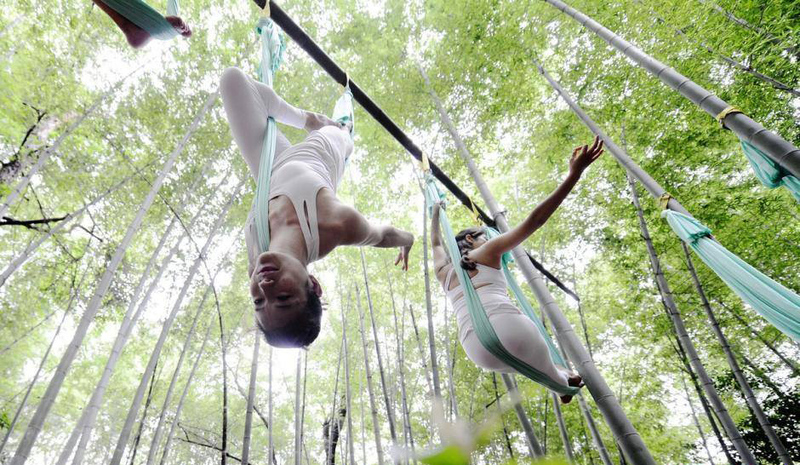 Anti-gravity yoga is the trendiest fitness solution at the moment. 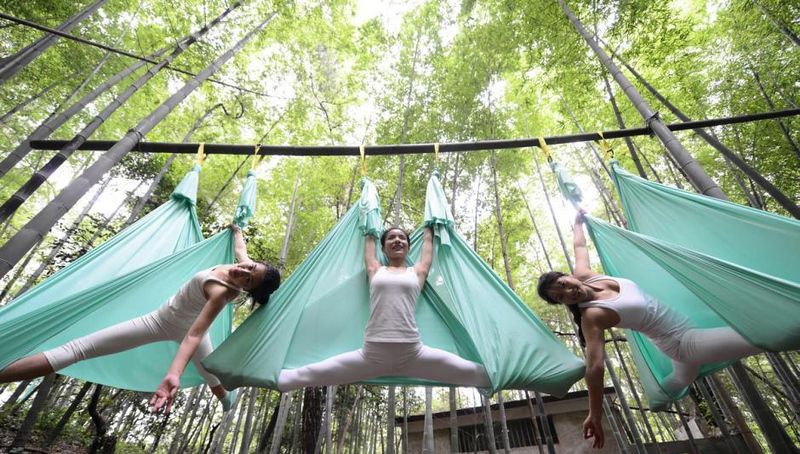 It consists of the original yoga, pilates, and dance moves with these using of hammock. It was created in the NYC and now is widely practiced all over the globe. 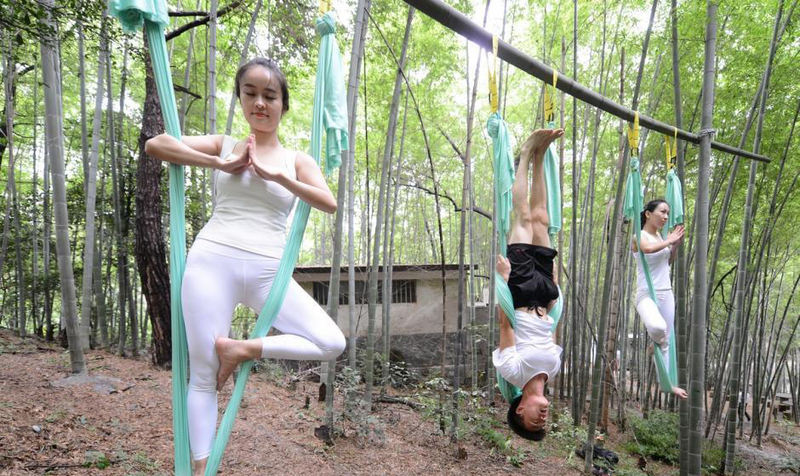 Anti-gravity yoga has serious benefits. It can help to increase your strength and flexibility. A word to say, this cool stress-buster is hella funny. 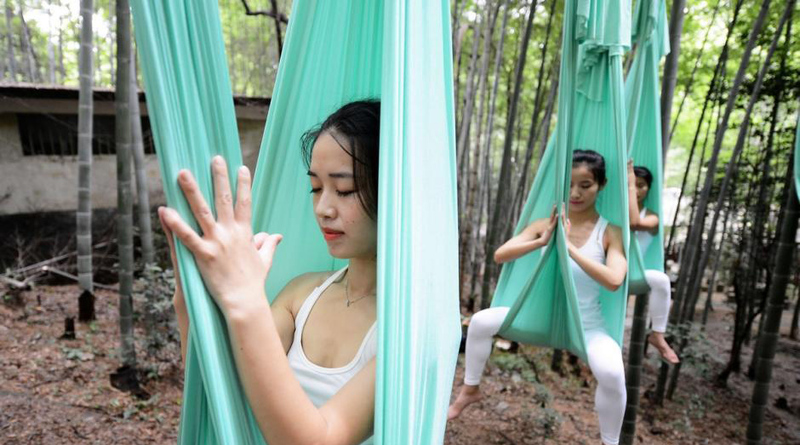 These photos of Chinese girls who show their impressive yoga skills stunned the whole world. It looks more like an art being performed in the flesh, the human body can paint a beautiful picture. 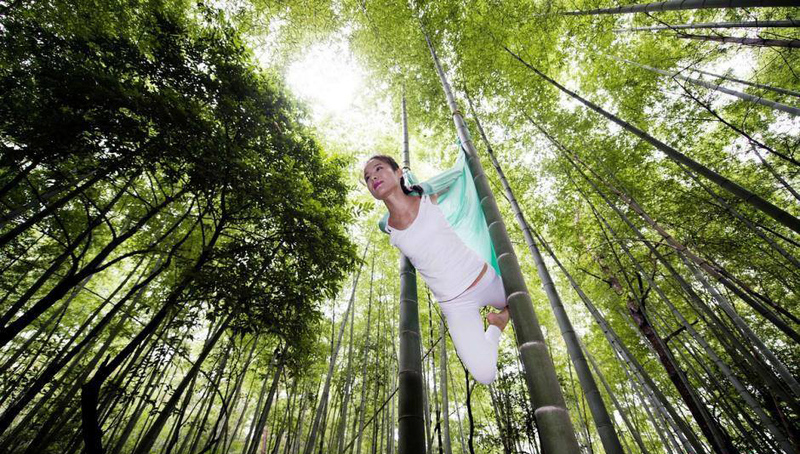 Check out the most hyper-realistic yoga stunts in this spectacular collection.